I'm relatively new to wow and to this server and I'm looking for an efficient way to level from 1-110. I was browsing the forums a few minutes ago, looking for a leveling guide but didn't find anything. I'm not looking for a long and extensive guide, as that would probably take too much time, but just a quick rundown on the most important points to keep in mind so that the leveling becomes fast and efficient (maybe which zones to pick, which ones to skip, dungeon or questing, etc). 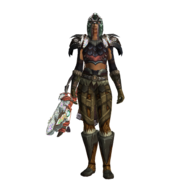 I have only leveled up to 90 in the mop expansion previously when I played on retail wow and also on various other private servers, so I do have some experience with the leveling aspect in the game, but I'm sure you could give me some tips to make it more efficient. I will be playing an orc warrior, starting from level 1 and with no gear granting bonus experience. I would really appreciate if someone would take their time and help me out. I leveled a few toons in this server but I'm no expert. All I can give you is the very basics. 1-15: basic quests. Note: pick you're professions as soon as you can. Many players ignore that, but you get XP from gathering too and keeping your professions leveled will be useful for making items and profit. Mining gives good XP. Since you're warrior a good combo would be miner/blacksmith or miner/jewelcrafter, so you can also craft your gear or gems. 15-58: now you can join dungeons via group finder. It can take a few minutes to get in so keep doing quests while you're queued (if you're going orc stay in Kalimdor, you don't have to keep jumping continents for leveling, it's not a rule but I like to stay as near as possible from my capital to buy/sell items, level professions, etc). Important: since you're playing a warrior, even if you're gonna play as a dps in the future, queue and play as tank, this way you'll get in dgs waaaay faster. And always do the quests inside the dungeons and the bonus objectives when they work. Those are the most valuable quests you can get. Lots of XP. 58-68/70: Outland quests and dungeons. 68-80: Northrend quests and dungeons (from this point until the end dungeons are just a bonus since they demand some time and the XP isn't that great anymore, but keep doing them since you can get better gear). 80-90: Pandaria quests and dungeons (from this point until Legion map the gathering is extremely more valuable - keep your professions updated). 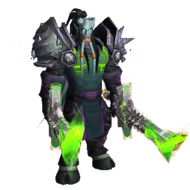 90-98: Draenor quests and maps bonus objectives. 98-110: Finally Legion. In my opinion the most fun you'll get in your journey. Fast leveling, gear upgrade constantly and a great story. When the world quests start popping to you, go get them tiger! That's the basics. Hope you can take something good from it. Welcome and have fun! Buy 80 points and level up to 100 by buying the levels on the page, leveling is bugged after this patch, unless u are a plate everything will smack you, dungeons are not working at all, not all quests are scripted, and draenor bonus objetives are not working. Also draenor mobs one shot you.